It is becoming common knowledge that Monstanto’s Roundup may be good for business, but it’s bad for health. 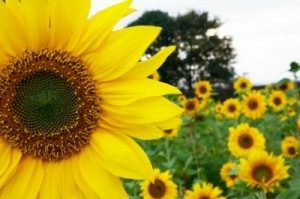 Many organic farmers and gardeners have denounced the chemical weed killer due to its harsh chemical compounds and intense harm to the environment and themselves. But who has time to pick each weed out of their garden? Not many of us do, but luckily there is an elixir that will kill weeds and deter in a safe and chemical-free way. That’s right, you can use vinegar for more than just cleaning, cooking, and laundry–you can even use it to kill weeds! 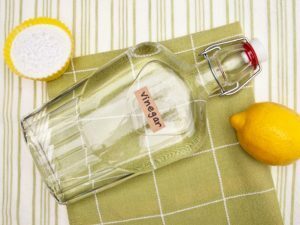 Using vinegar in your garden or backyard is a natural way of getting the job done without harming yourself, your loved ones, or the environment. Just grab a spray bottle and head out to the garden on a calm, sunny day. The less wind the better to keep the sprays in place and the sun will cause the necessarily reaction in the vinegar. Soak the leaves and stems with this wonder elixir and then revisit the area in a couple days for full results. However, be careful to be aware of where the vinegar is being placed. It is not a choosy substance and does not discriminate between grasses, flowers, or vegetables. 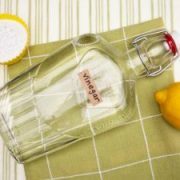 So make sure you do some planning before you start sprinkling the vinegar about. You could even use a large paintbrush if you’re feeling detailed! Any type of vinegar will work so get out there and start getting your garden ready for summer!